Midwest Symposium for Leadership in Behavior Disorders : What We Do : Master Teacher Project : Who are the Master Teachers? : Felicity Post, Ed.D. Dr. Felicity Post is an Assistant Professor of Special Education at Peru State College in Peru, Nebraska. She is a graduate of Kansas State University where she earned a Bachelor’s of Science degree in Elementary Education and Special Education in 2005 and her Master’s of Science degree in Special Education in 2008. She went on to earn her Doctorate in Special Education, with an emphasis on literacy and students at risk for emotional and behavioral disorders in 2016. While obtaining her Doctorate, she also completed requirements to become a Reading Specialist. Dr. Post spent 11 years in the elementary resource room serving students with exceptionalities as well as their families. During her 11 years in the classroom, Dr. Post developed a before and after school program targeting students at risk for academic failure in both math and reading. She served on her building’s behavior team, which provided ongoing support for general education teachers in their efforts to teach students with emotional and behavioral needs while also providing targeted interventions for the students themselves. Dr. Post has published numerous peer-reviewed research articles and presented her research at various conferences nationwide. 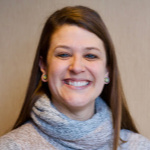 Her research interests include the use of aversive procedures, literacy, special education law, mentoring amongst students with disabilities, issues faced by students with or at risk of emotional and behavioral disorders, PBIS, teacher effectiveness, and the use of praise. Dr. Post joined Peru State College in the fall of 2016 as an assistant professor and teaches special education courses to both undergraduate and graduate students.